General managers John Elway and John Lynch share a bond going back three decades, one built on respect, rivalry and reverence. 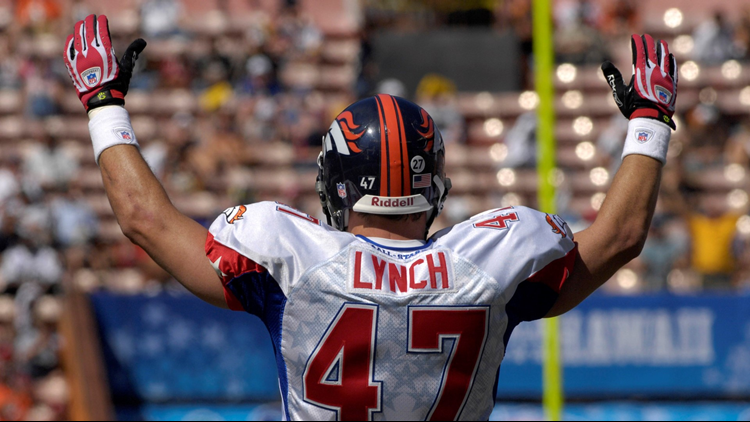 "He was the poster I had on my wall," said Lynch, who's 11 years younger than Elway, 58. "He was the idol I had growing up." Lynch prepared for his move into the front office by serving a sort of apprenticeship under Elway, attending the 2013 NFL combine with him and sitting in with the Broncos' GM during the draft. Yet, it was 20 years earlier when Elway first lent Lynch a helping hand, as both men recalled during one of Lynch's scholarship lunches a couple of years ago. "I knew that Johnny was nervous, this being his first preseason game," Elway remembered. "So, we're in the first quarter and Johnny's out there and our cadence back in that time was Set-Hut. I was always famous for saying, 'Red 98 Red 98. Set-Hut!' Well I saw Johnny Lynch out there, I said, 'Set-Het, Red 98. 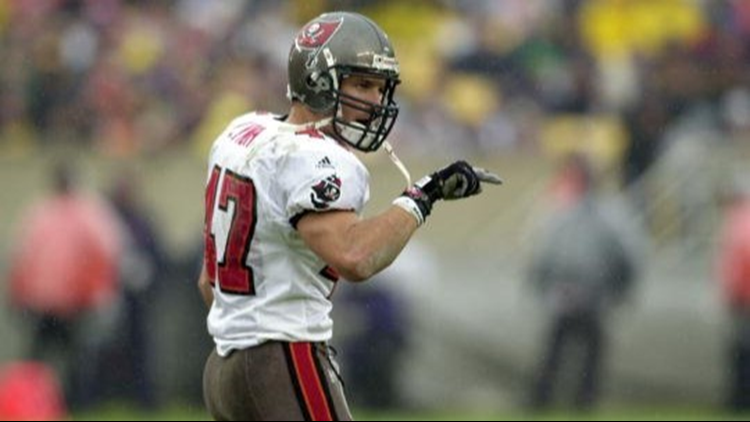 Hey, Johnny Lynch!'" The shout-out impressed the rookie's Tampa Bay teammates. John Lynch walks down field during the game against the Chicago Bears at Soldier Field in Chicago, Illinois. (Photo credit: Jonathan Daniel/Getty Images). "I came back to the huddle and it was so funny because all the guys said, 'You know Elway?' I said, yeah, we're tight," Lynch recounted. Years later, after they really had bonded, Lynch said Elway told him, "I was trying to loosen you up. I knew you were tight." John Lynch signals a touchdown during the NFL Pro Bowl game at Aloha Stadium in Honolulu, Hawaii on February 10, 2007 (Photo by Al Messerschmidt/Getty Images). Elway told Lynch he knew exactly when he was going to blitz and when he wasn't just by reading his eyes. "I look at Johnny Lynch and if he kept looking at me, I knew I was OK, I knew he wasn't coming," Elway explained. "I guess he figured if he didn't see me, I didn't see him," Elway said. "I knew when he was coming. I told him that after the game and obviously he took that to heart." Lynch said Elway told him to "just look at me like you normally do. So, I used that throughout my career" to disguise his intentions. 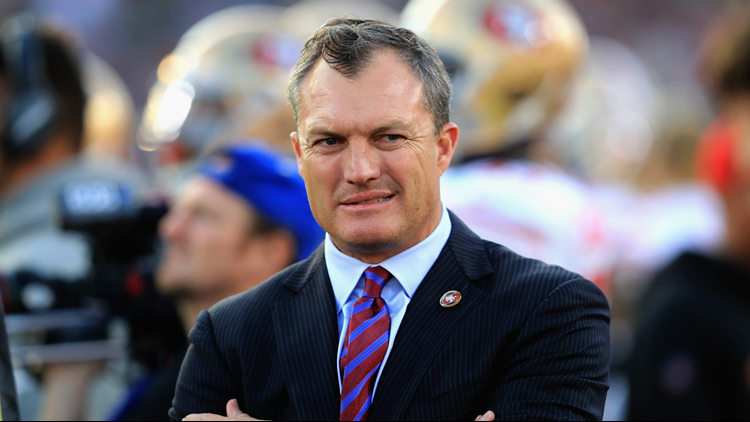 When he was offered the 49ers job last year, Lynch, who felt he might be too green, again sought Elway's advice. 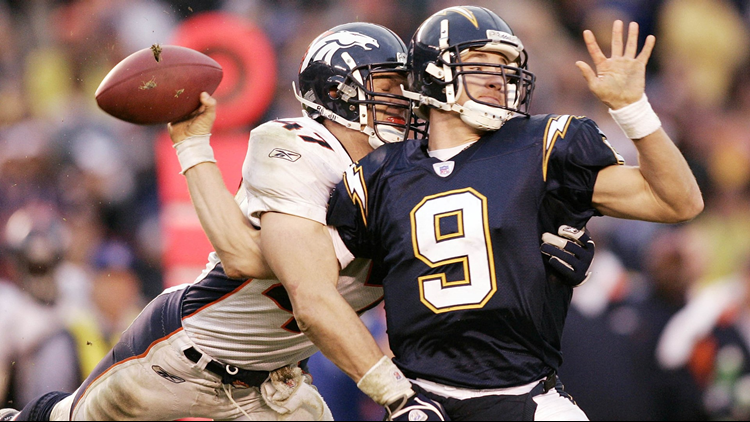 John Lynch sacks and forces a fumble on Drew Brees of the San Diego Chargers on December 31, 2005 in San Diego. Brees was injured on the play and left the game (Photo by Donald Miralle/Getty Images). "Yeah, he's been awesome. He's a great friend and he exposed me to the business," Lynch said. "I think the biggest thing, when I had this opportunity presented to me really quickly and had a short, finite time to give them an answer, he kind of gave me the confidence: 'You know what, you can do this, just like anything else. You can be great at it.' And hearing that from him kind of emboldened me to feel that way." "He helped me out in the beginning but now it's like anything else, we're competing," Lynch said. "Fortunately, we're not in the same division and all, but he's been great. He's one of my best friends in life and we understand that we both have to serve our organizations well, but we can also continue to be great friends and that's what we are." 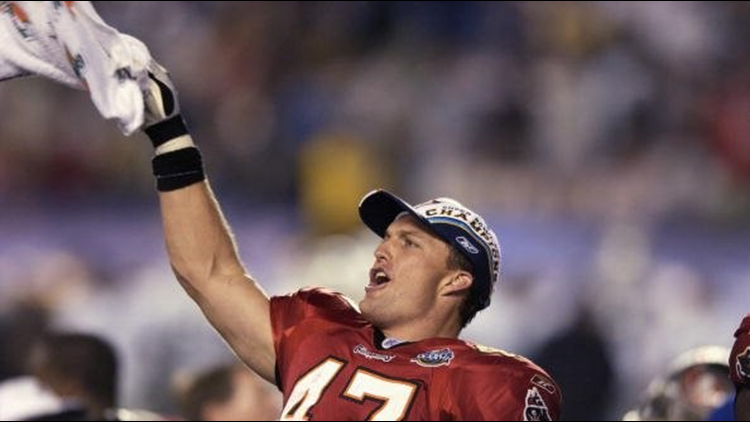 John Lynch celebrates the victory over the Oakland Raiders in Super Bowl XXXVII on January 26, 2003 in San Diego, California (Photo by Ezra Shaw/Getty Images).